Kenneth Lancaster I am validating that this deal works as described. 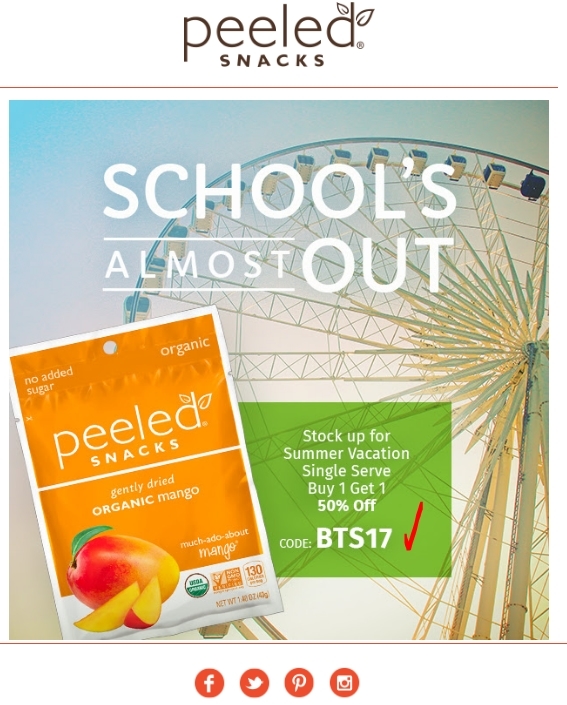 Buy one and get one 50% off on single serve packs with the promo code BTS17 at checkout. Edgar Hopper This deal remains available. I am validating that this promo code works perfectly according o what the offer describes. 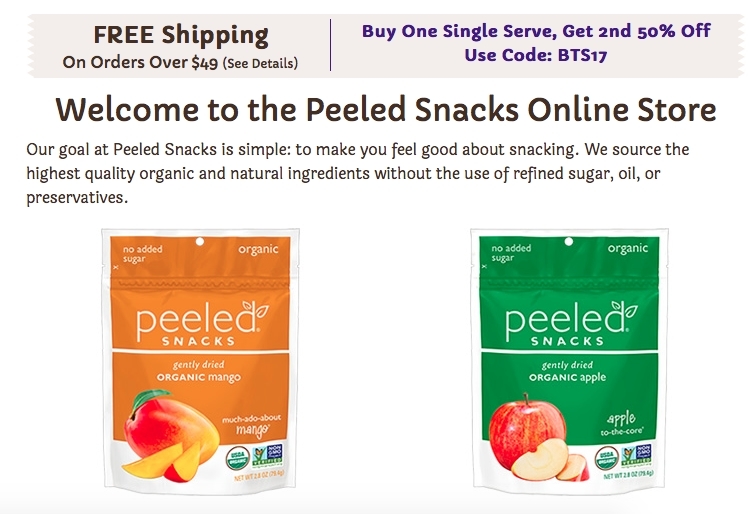 D EXCEED Jewelry at Amazon Peeled Snacks BOGO deal: I am validating this deal is workable and valid as per described. 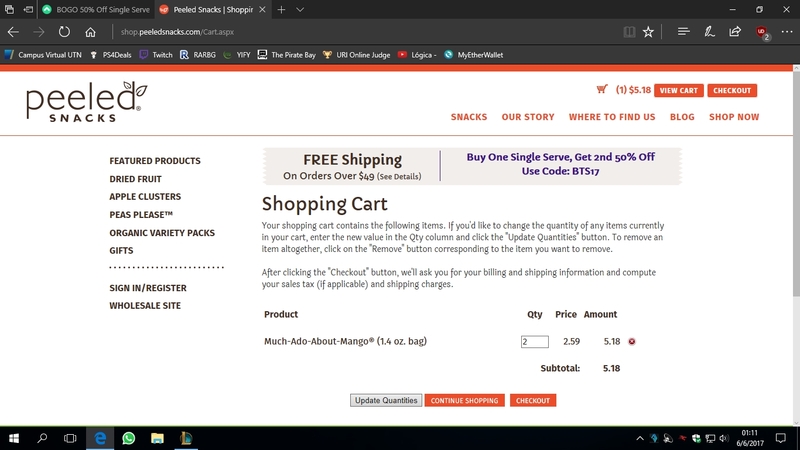 Please just copy the code select 3 more items into cart. Please apply the code before checkout. Levy José Muñoz Macho I am validating this deal. Promo code BTS17 is active and works as described. 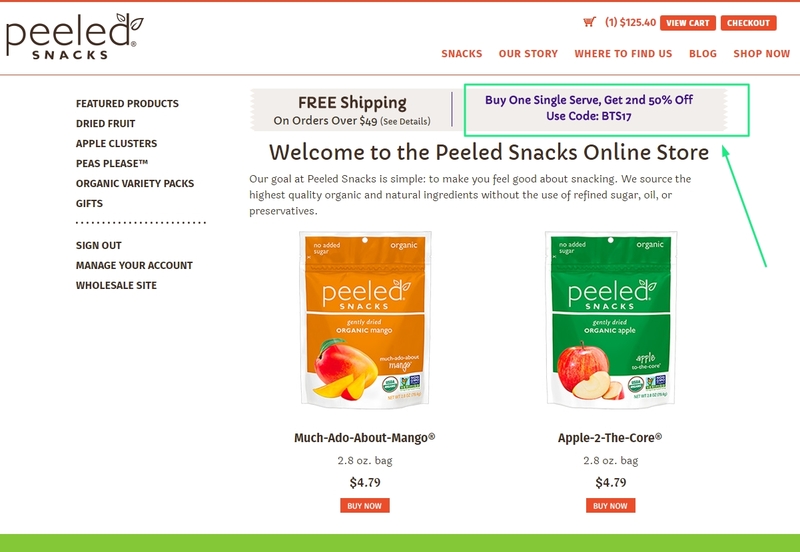 Get BOGO 50% Off Single Serve Packs at Peeled Snacks. Offer cannot be applied retroactively and expires 6/16/2017 11:59 pm PT. In stock items, only. One coupon per order. 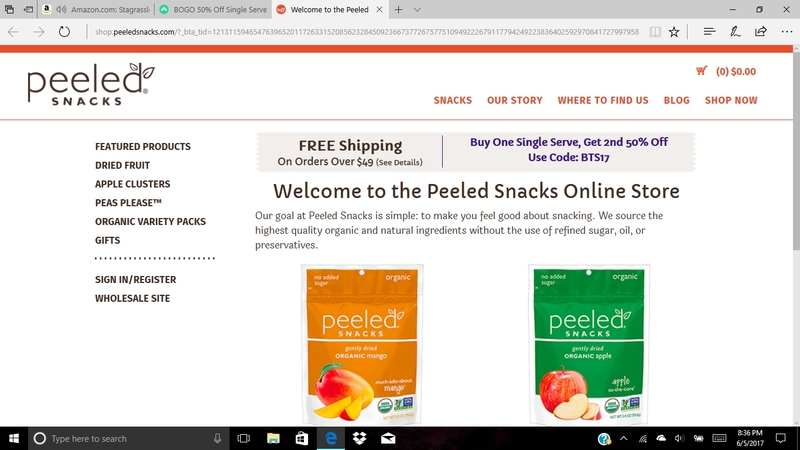 Maximiliano Pinto This promo is real my Friends, just copy the provided code, open the website, add a product to the cart and then checkout using the code! Julie Wade This is a great deal. Enter promo code at checkout to get the discount. The deal works as described. Monica K. Geglio This is a valid promotion. 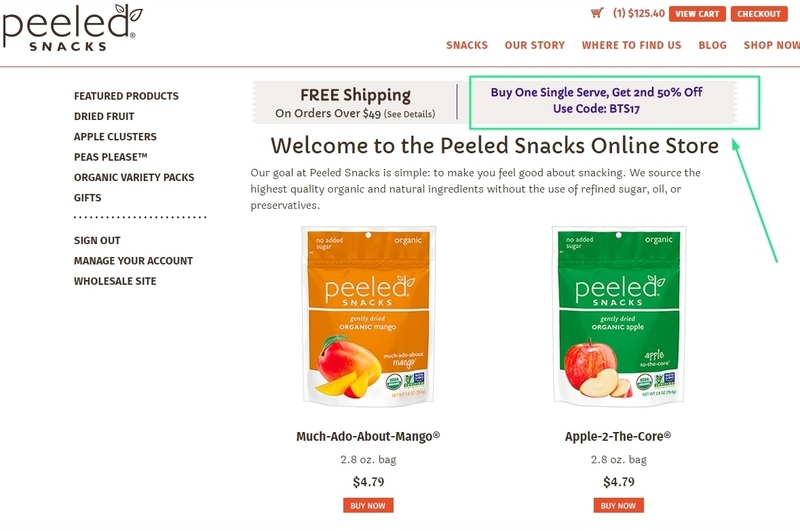 Use promo code BTS17 during checkout to receive one Peeled Snack at 50% off with the purchase of one at regular price. Viktor Seras I am validating that this deal works as described. 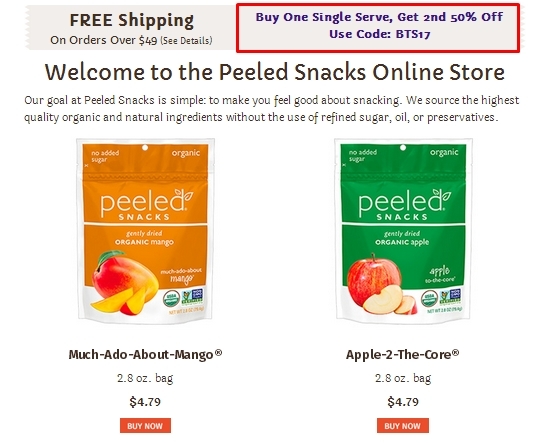 Just apply the coupon code and Get a BOGO 50% Off Single Serve Packs at Peeled Snacks. Coupon code cannot be combined with other offers.